Data has no been made available to SCAR. A long discussion ensued, expressing our frustration at the many roadblocks and contradictory answers. Autumn Reed will check source of data cited in the MacArthur grant application and/or Burns Institute report. SRLJC treated our open letter as a PRR (Public Records Request), which it was not. One implication for treating our letter as a PRR is the power play of threatening to charge us for making the data available. Jacquie van Wormer declined to speak with us, since she is no longer the administrator.  Rick will ask Superior Court Judge Maryann Moreno to speak at a SCAR meeting. We need to prepare questions in advance of conversations with SRLJC members. We might publish our concerns or questions on our website. Our concerns relate to disparity in sentencing, bail setting, and prison time. Scott donated SCAR buttons—thank you Scott! Superintendent’s workshop and NAACP impactful, especially with student presence. Superintendent announced the process will continue next year.